Really nice hotel. Modern, well designed interior, all amenities , bathroom and toilet have their separate spaces, large room, close to old town. Quiet. And the staff is very helpful. Room Tip: We had a room on the top floor overlooking a courtyard. Very quiet, no road noise. We stayed at Hotel Cubo as a family of 5 people, 2 grandparents in a double room and my husband and I in a large room with a separate bed for our child. We loved our stay in Ljubljana and would highly recommend the hotel. The hotel is boutique sized, with just 3 floors of rooms. Our room faced the rear courtyard and was extremely quiet, which we loved. My parents’ room faced the street side, with an amazing view of the castle, although they could hear a bit of traffic noise (not overly bothersome). Both rooms were spacious and spotlessly clean. I haven’t seen hotel bathrooms this clean in a very long time! Beds were comfortable, air conditioning worked well, WiFi was free and quick, the safe was large enough to hold 2 laptops, and the decor was very interesting (particularly the lights!). The bathroom was modern and had good toiletries, ample towels, and plenty of hot water. In the larger room, the toilet and shower were in separate rooms, which was nice. The hotel is environmentally conscious and doesn’t change towels/sheets daily unless requested. We did request on one day, but otherwise were content to reuse as towels dried rapidly on the rack provided. The staff at the hotel couldn’t have been more friendly and helpful. The front desk recognized guests and knew our details with amazing recall. And the staff in the breakfast room were also friendly and constantly available for coffee, omelets, etc. The hotel arranged taxis to pick us up from the train station (only a 5 min ride, but too far to walk with many suitcases) and also to drop us off at the airport, which took about 30 minutes to drive. We were impressed that the front desk had our keys ready for us when our taxi arrived, avoiding a long check in process. Breakfast was of very high quality, with a buffet of cold items (cereal, bread, fruit, meat, juices, homemade jam), and hot items such as pancakes and omelets on order. We regretted leaving such a fabulous breakfast when we checked out! The location of the hotel was very good, with a short and scenic stroll to the heart of downtown, and good restaurants within a 5 minute walk. We thoroughly enjoyed our stay and would highly recommend. We chose this hotel, based on the comments of others. It is wonderful. Staff are all friendly and helpful. The rooms are superb and spacious with every modern feature. The restaurant food is great and very reasonably priced. 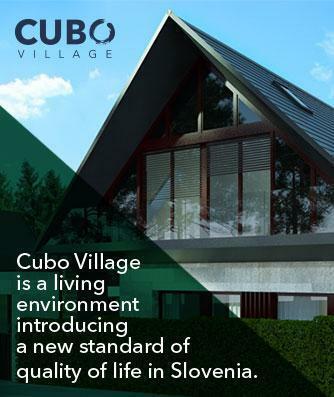 Cubo surpasses every five star hotel we have stayed in: it really is a magical experience. We stayed three days and would like it to have been thirty days. There are only 26 rooms, so it is probably a good idea to book well in advance.